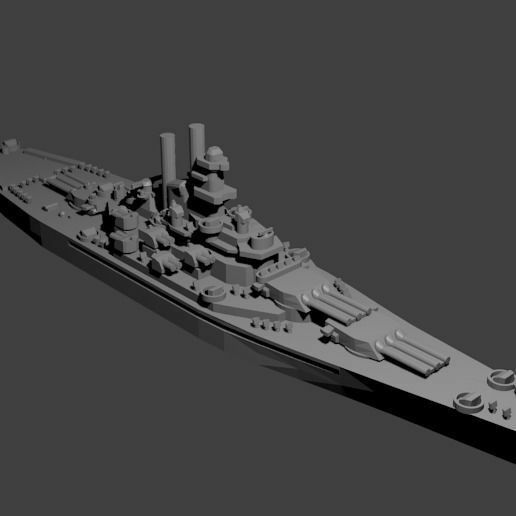 1/1800th scale Atlanta Class Cruiser model. Certain elements not to scale. The Atlanta-class cruisers were designed as fast scout leaders, but proved to be incredibly effective antiaircraft cruisers. Eight were built in two distinct sets. The primary difference between the first set and the second was the removal of the two side gun mounts, due to their overall ineffectiveness and balance issues. Atlanta and Juneau were sunk at the battle of Guadalcanal the remaining six were decommissioned and scrapped after the war. 18 December 18: Added Oakland sub-class.